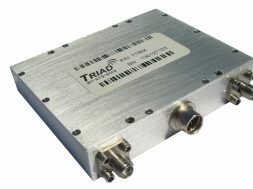 The TA1014 is a lightweight and high power linear power amplifier that works from 1400 to 1600 MHz. It is compatible with high data rate signals, making it ideal for mobile sports broadcast applications, as well as anywhere that high power and portability are key. And it boasts 40W of output power for its small size.